The month of May is one of the best times of the year to visit Portugal to study Portuguese for foreigners, but if you come to Lisbon in mid-May this year, you will see something that’s never happened before: the first-ever time Portugal’s capital city has hosted the Eurovision song contest. This competition was held for the first time in Lugano, Switzerland in May 1956, with just seven countries from the then war-torn European continent participating. Since then it’s grown to include over 40 countries, and Portugal’s first entry was in 1964. 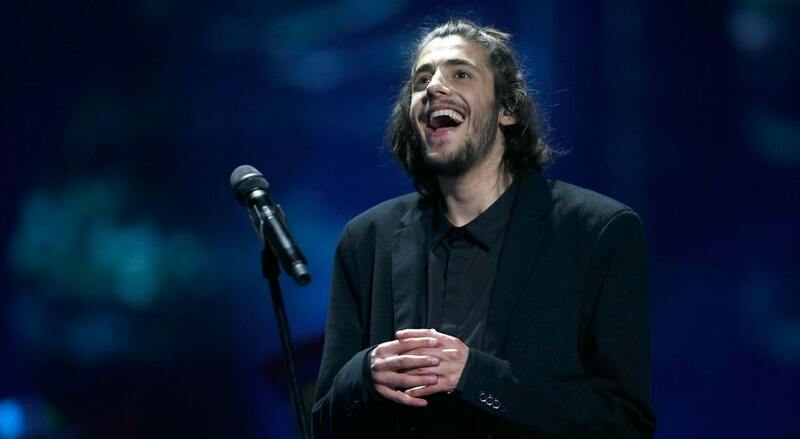 If you’re a Eurovision fan, you’ll already know that the competition is traditionally held in the previous year’s winner’s home country, and that Portuguese singer Salvador Sobral won 2017’s contest in Kyiv, Ukraine, with the song ‘Amar pelos dois’. Mr Sobral, it has been confirmed, will also perform at this year’s Eurovision, which is particularly special news for all his fans, as he underwent successful heart-transplant surgery in December of last year and has been recovering since then. He will perform new material as well as his winning song from 2017. Singer Cláudia Pascoal will represent her home country in this year’s competition with the song ‘O jardim’, while in the opening segment of the show, traditional Portuguese Fado artists Ana Moura and Mariza will, for the first time ever, perform together, followed by the classic Eurovision flag parade. To date, perhaps the best-known Eurovision winners have been the group ABBA, who won representing Sweden in 1974, and Céline Dion, who won in 1988 representing Switzerland. The country with the most wins over time is Ireland, with seven first-place finishes. The most impressive debut in the competition was made by Poland, which came second with its first-ever entry in 1994. In 2015, the Eurovision Song Contest was recognised by the Guinness Book of World Records as the Longest Running Annual TV Music Competition (it’s also one of the most-watched non-sporting events in the world, with anywhere from 100 million to 600 million viewers internationally). Until 2017, Portugal held the record for most appearances without a first-place win, while Norway holds the record for most last-place finishes (eleven times). Under the current voting system, the highest-scoring winner is Salvador Sobral, who won the jury vote and the televote for a total of 758 points. Mr Sobral was also one of relatively few singers to perform in a language other than English; one review in the UK’s The Guardian newspaper said, writing of his performance (14 May 2017), that “Portuguese is quite possibly the loveliest language in which to sing soft, good, songs.” Although it used to be required that singers perform in a language native to their countries, that rule was changed in 1999 and for some time since then it was even considered an advantage to sing in English. That advantage may no longer hold, as diversity and authenticity gain value in the eyes of both jury and the public. One thing is certain: if you want to test your understanding of Portuguese for foreigners, you’ll be able do so while listening to singers from Eurovision’s host country of Portugal this year. Lisbon was not automatically selected by broadcaster RTP as the venue for the 2018 contest, but one reason Lisbon was chosen is the capacity of the Altice (formerly MEO) stadium, which can hold an indoor audience of 20,000 and as such is one of the largest such spaces in Europe. This stadium was originally built for Expo ’98, an event that commemorated 500 years since the age of the Descobrimentos, or Portuguese ‘Discoveries’ of overseas lands. In keeping with the maritime theme, the slogan of this year’s Eurovision is ‘All Aboard’, and the main logo is a nautilus shell, although RTP’s design team also introduced multiple logos, including a jellyfish, plankton and coral, to symbolise Europe’s multifaceted nature. Portugal’s selection to represent the country at Eurovision was made at the Festival da Canção, which was held in the northern Portuguese city of Guimarães in February and March of this year. If you’re coming to Lisbon during the Eurovision contest and want to buy tickets, make note: the fourth and final batch of tickets will go on sale on April 5th at 11:00 CET, via the official ticket partner Blueticket.pt. The dates of the semifinals are the 8th and 10th of May, and the Grand Final will take place on the 12th of May. Tickets will be available for live shows, ‘family rehearsals’ and ‘jury rehearsals’, and prices start at as little as 5 euros, depending on what show you pick and where you sit. As explained on eurovisionworld.com, everyone on the site as the sale kicks off, will be given a queue number at random. The online queue system will then send you to a virtual waiting room until your number comes up. But even if you don’t buy a ticket for one of the shows, you’ll be able to watch the live performances on a large screen that will be put up from the 4th of May in the Eurovision Village at the Praça do Comércio (also called Terreiro do Paço). Of course, the Praça do Comércio, the largest of Lisbon’s squares and situated right next to the Tejo river, is a must-see for any visitor to the Portuguese capital. But as the location of the Eurovision Village, it will also be a central hub for a series of concerts and performances throughout the Event Weeks, as well as for a variety of sponsor activities. The Red Carpet (actually the carpet will be blue), in which all the contestants are presented for the press, fans and guests, will take place at the magnificent riverside Museum of Architecture, Art and Technology (MAAT), on Sunday, May 6th. After the Red Carpet, the Opening Ceremony will take place next door at the Electricity Museum. Lisbon has a great variety of accommodation, from friendly hostels and B&Bs to top chain hotels to historic Pousadas, and because both main venues for Eurovision, Parque das Nações and the Praça do Comércio, are well-served with public transport options, you don’t have to limit your search to just those parts of the city. Even though you might find prices a bit higher than usual this year if you visit while Eurovision is happening, the good news is that Lisbon offers very good value for money as compared with other Western European capital cities - for both dining and accommodation. Another thing to consider is that if you do decide to stay a little bit away from the central neighbourhoods (Chiado, Baixa, Alfama, Príncipe Real, Avenida da Liberdade), you might also find more opportunity to practice Portuguese for foreigners day-to-day, because although many Lisboetas (Lisboners) speak English, there’s less of a tendency to automatically do so in areas that receive slightly fewer visitors. Of course, if you really want to make sure you learn some of this beautiful language while you’re here visiting, talk to us at Portuguese Connection about reserving your place in group or individual classes (or a combination of both!) while you’re here. After all, we’re the specialists in teaching Portuguese for foreigners in a relaxed, friendly setting - and we love to help our students find opportunities to practice what they learn!